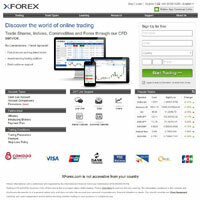 XForex is a CFD-specialist online broker which allows you to trade currencies, indices, shares and commodities. It offers a specially-developed web-based trading platform with real-time account updates, plus various learning and analytics tools to help you develop your online trading techniques and decisions. As with all online trading websites, there is a risk that you can lose your capital. A CFD-specialist online broker which allows you to trade currencies, indices, shares and commodities. Despite its name, XForex.com places more focus on Contracts for Difference, than on the Forex currency exchange markets. CFDs allow you to trade on live markets without having to actually buy the product or instrument which your contract is based on, allowing you to speculate about potential future markets and prices. You can therefore gain from falling prices and try to limit your losses in other areas. This is aided by the ability to set your trading limits on XForex, essentially setting up protective limits to how much you’ll lose before selling your contract. The automatic buy and sell options are incredibly useful if you want to make sure you’re not going to lose too much of your capital. You can also set your “sell” prices to make sure you make a profit at the optimum moment, even if you’re not online to make the trade manually. Unusually, the X Forex trading platform is entirely browser-based, so there’s no download needed. You simply log into your account to check on your investments, or to buy and sell. There are also several educational tools which include market analysis, a trading guide and video tutorials. These are freely available and are worth checking out, whether or not you decide to trade on this site. Research pages offer an economic calendar and charts to help better understand the markets and their potential changes. Whilst the tools available are useful, a few more options might be beneficial, such as professional advice or a feature to copy the trades of others. 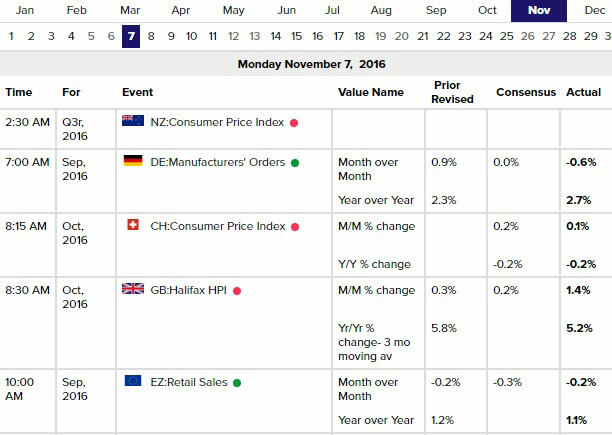 View important market dates and statistics on an economic calendar. As we mentioned, there are CFD options for several markets, including Forex, Commodities, Shares and Indices. Let’s look at those now. Invest in over 70 currency pairs from around the world, with tight, fixed spreads. You can also earn bonuses for depositing and trading on the Forex markets, with a free trading platform which produces graphs. As with other trades on XForex, you can set your profit and loss limits. With leverage levels of 1:400, you can maximise your profits on large markets using a small amount of capital (starting at $100.00). Trade contracts for difference on the commodities markets. Products include metals such as gold and silver, plus energies and soft trades. Non-CFD options are available on commodities markets, with more than a dozen commodities pairs to choose from. The maximum leverage available is 1:200, with spreads starting at 3 pips and 24 hour market access. Invest in your favourite companies, with no commission and fixed spreads. Full spread and leverage rates available at any time, with the ability to pre-define your profit and loss cut-off points, preventing large losses and improving your sell points. You can also pre-order positions and invest in markets once your levels have been reached (meaning your investments only occur once companies are performing as you’d like). Invest in global markets with 1:200 leverage. There are more than 10 international indices to choose from including the UK, US, Japan, Australia and more. Low spreads and no commission rates mean you keep more of your profits, with bonuses for deposits and trading activities. XForex is a flexible system which focuses on CFD trading. You have a greater control of your buy and sell limits here than we often see elsewhere, with bonuses available for deposits and trades. Whilst they maintain their spreads are low, we’ve seen much lower spreads elsewhere. Still, the site doesn’t charge commission, and if you’re interested in using a browser-based trading platform then this is certainly worth considering.